(CNN) -- At least 29 people were killed Tuesday in an explosion at a fireworks market in Tultepec, Mexico, according to local authorities with firsthand knowledge of the search-and-rescue effort. 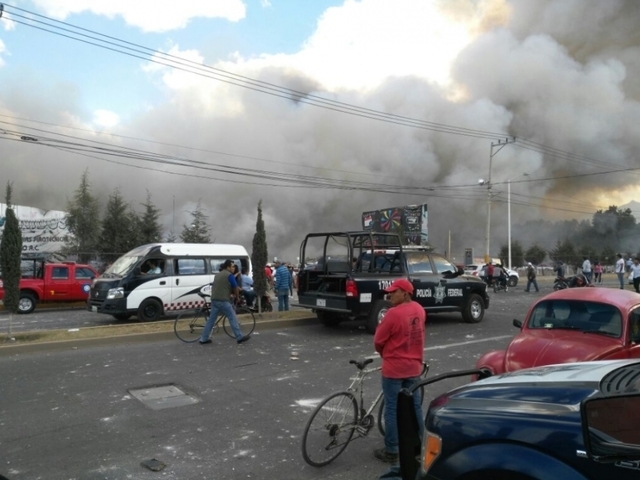 Mexico's federal police said in an earlier tweet at least nine people died in the explosion. Dozens were reported injured. Pyrotechnics are a major industry in Tultepec, which is about 40 kilometers (about 25 miles) north of Mexico City. Emergency responders are at the scene and assessing the damage, Luis Felipe Puente, coordinator of Mexico's national civil protection agency, told CNN affiliate FOROtv. Video from the explosion show massive plumes of smoke and bursts in the air. Sirens can be heard in the background.